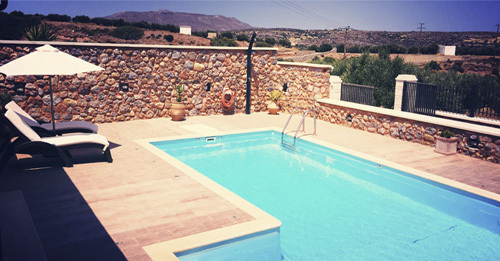 Surrounded by a lush grove of 27 acres just 3 km from the Zakros and 6 km from Xerokampos you will find Villa Kalliopi. 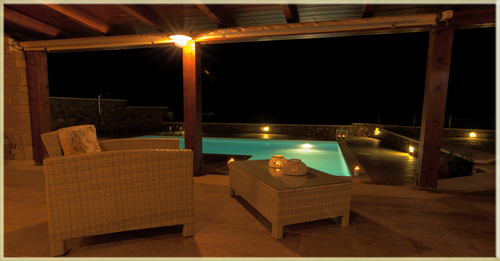 Villa Kalliopi is a traditional stone cottage that combines perfectly the luxury accomodation with tradition. It belongs to the family of Manolis Achladianakis and it's smade with love, care and respect for the nature and the environment. Villa Kalliopi was built in 2010 and fully renovated in 2013 with high quality standards. There is a comfortable total area of ​​80 sq. km. with two bedrooms, double beds, large wardrobes, δtwo bathrooms, living room with fireplace anda couch that can be converted to a single bed. 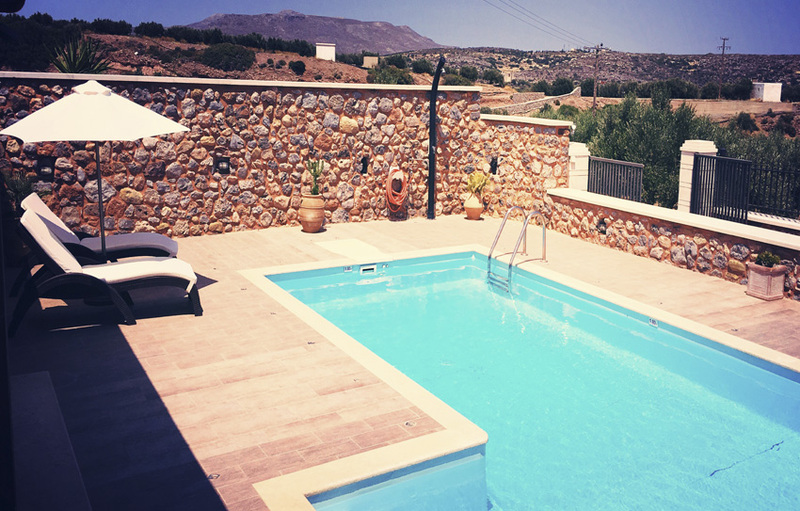 Villa Kalliopi is situated in a beautiful and peaceful environment, suitable for an enjoyable and relaxing holiday in one of the most beautiful places in Crete, there where Minoas choose to build his latest palace, in the historical Zakros. A perfect place for relaxing carefree holidays. fully equipped ... for your convenience ! Private pool, wood oven for unique dishes, barbecue (BBQ), roofed parking area, outdoor furniture, air conditioning in every room, perimeter alarm system, wireless internet, satellite LED TV, Large outdoor terraces - Garden furniture, washing machine, dishwasher and safe box. Οur location see more . . . Incomparable beauty in South Crete, away from the overdeveloped tourist areas of Crete, you can find the beautiful village of Kato Zakros.Next to the ruins of an important Minoan palace with marvelous beaches and great trekking routes. Zakros and Kato Zakros belongs to the Municipality of Itanou, one of the eastern municipalities of the prefecture of Lasithi. 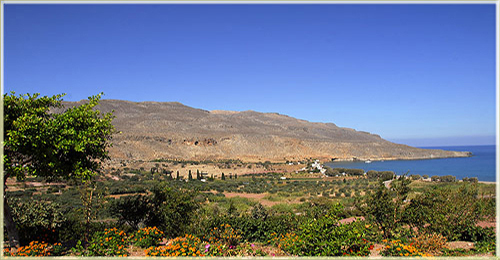 Leaving the picturesque and green Zakros and continuing on the road for 7 kilometers towards the sea, a great turn left behind the mountains and hugging the pristine waters. And somewhere it begins to appear the picturesque bay of Kato Zakros. With a large and two smaller pristine beaches, with pebbles alternating with fine sand, this village seems to be close to paradise. Apart from the magic of the landscape, the sea and the sun all year round, Kato Zakros really worth visiting it , even if you just want to relax on a beautiful beach in Crete,in a uncrowded place without feel like tourist. The swimming in the crystal clear waters, the nature and the old civilization of Crete, just waiting for you to offer the most wonderful holidays of your life in one of the most beautiful places in Greece. Οur facilitiesread more . . .